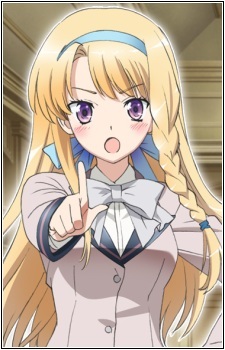 A first-year and student council vice-president of Miryuuin Academy. Was bred in a royal family. After Shougo transferred into Miryuuin, Konoe calls her "a princess to the core." Rinka keeps the Student Council President in line and is shown to be very good at dancing. She is a more distant aloof character who has a tendency to be competitive.